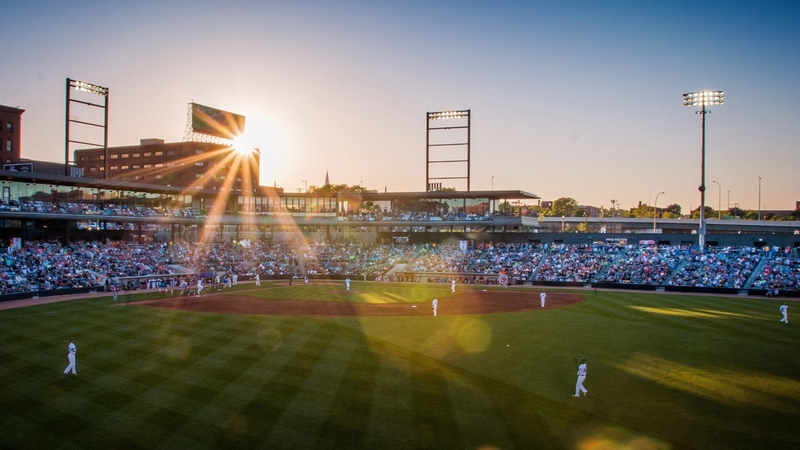 Did you know the St. Paul Saints history dates all the way back to 1884? Here’s a glance at how the Capital City's lovable boys of summer fun came to be. 1884: The original St. Paul Saints play in the Union Association, a Major League that only lasts one season before disbanding. 1894: Charles Comiskey buys the Sioux City Saints of the Western League and transfers them north to Saint Paul. The team is moderately successful over the next five seasons. 1897: The Saints begin playing at Lexington Park, a ballpark commissioned by Comiskey in Saint Paul’s Midway neighborhood in the block bounded by Lexington, University, Fuller and Dunlap. Today, you can find a plaque commemorating the field in front of the TCF Bank branch building that now occupies the space. 1900: Comiskey moves the Saints to Chicago, where they are renamed the Chicago White Sox (the same Sox we know today—their iconic ballpark was named after Comiskey in 1912). 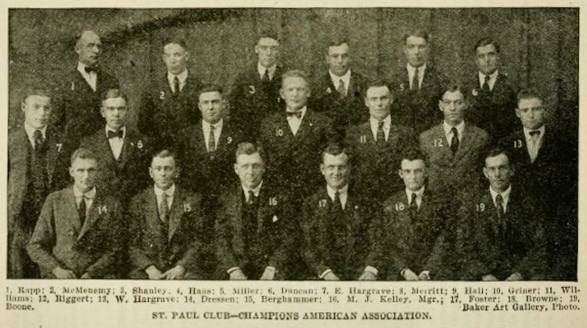 1901: After the loss of the original Saints, a third (and totally different) St. Paul Saints team forms to play in the minor league American Association. 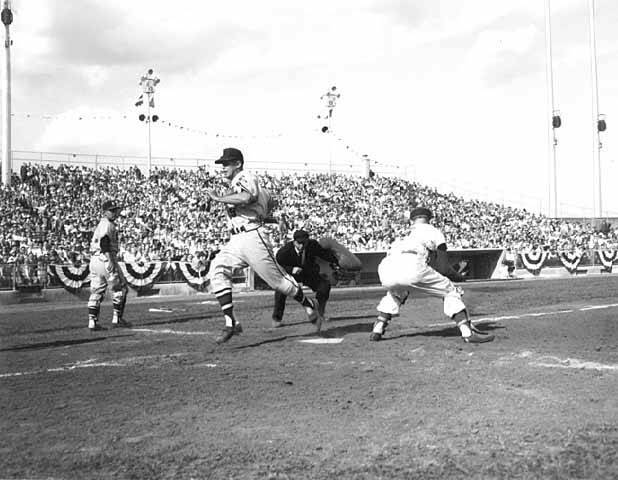 The team plays at Lexington Park, and has frequent home and away double headers against the Minneapolis Millers. The vigorous rivalry between the Twin Cities’ teams becomes known as the Streetcar Series. Over the years, the Saints would serve as the minor league affiliates for the Chicago White Sox (1936-1942), the Brooklyn Dodgers (1944-1957) and Los Angeles Dodgers (1960). 1924: The Saints win the minor league championship, also known as the Little World Series. 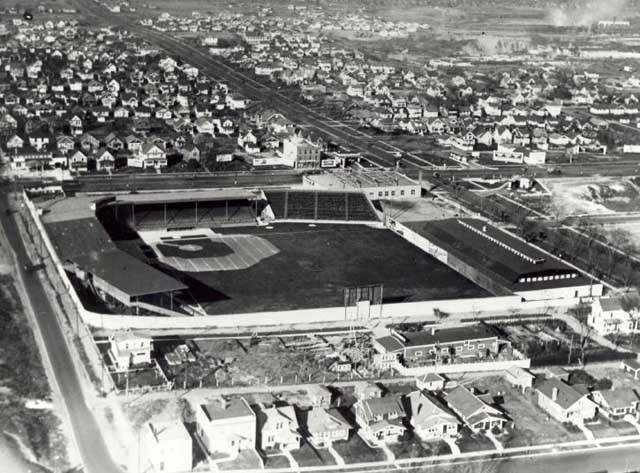 1957: Midway Stadium, located at 1000 North Snelling Avenue, replaces the recently demolished Lexington Park. 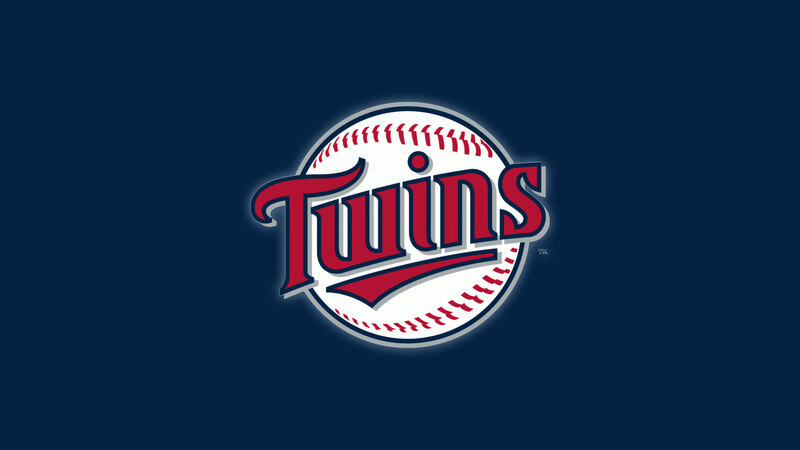 1961: The Minnesota Twins are established and the Saints move south to become the Omaha Dodgers, leaving no professional baseball in Saint Paul. 1981: The original Midway Stadium is demolished to make way for Energy Park. It’s successor, Municipal Stadium, is built a year later at 1771 Energy Park Drive. The stadium is roughly half the size of the original and serves as the home field for Hamline University’s baseball team. 1993: The St. Paul Saints appear once again, formed as part of the new independent Northern League. Primary ownership of the team is shared by Marvin Goldklang, Mike Veeck and Bill Murray (yes, that Bill Murray—the iconic funny man handed out programs on Opening Night and sported a Saints hat for his cameo in the 1998 film, Space Jam). Municipal Stadium is renamed to Midway and becomes the Saint’s home. Other teams in the Northern league include the Duluth-Superior Dukes, Rochester Aces, Sioux Falls Canaries, Sioux City Explorers and Thunder Bay Whiskey Jacks. The Saints gain national acclaim as the Northern League’s premiere franchise after winning the first league title and becoming well known for over-the-top wacky promotions. The antics, including a ball pig who delivers baseballs to the umpire between innings, are largely a product of Mike Veeck’s ownership. Veeck is a third generation fun enthusiast—his grandfather and father both built reputations for outlandish promotions during their tenures as Major League Baseball owners. St. Paul is often recognized for playing an integral role in the creation of modern independent baseball. 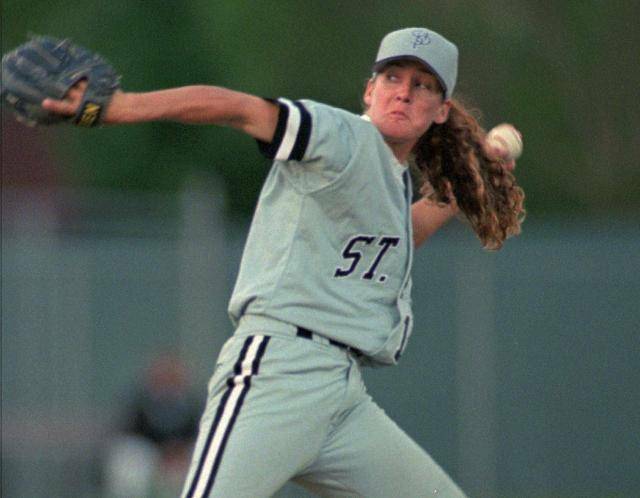 1997: The Saints sign pitcher Ila Borders, becoming the first professional men’s baseball team to have a female on their roster. 2006: St. Paul leaves the Northern League to start the American Association with the Lincoln Saltdogs, Sioux City Explorers and Sioux Falls Pheasants. The Saints finish as runner-up in the championship of the inaugural season. 2007: The Saints return to the league championship for the second consecutive year, but come up short against the defending champion Fort Worth Cats. 2011: Third time is not the charm, unfortunately—St. Paul falls to the Grand Prairie AirHogs in the best of five championship series. 2012: The Saints receive approval from the state to build a $63 million ballpark on a long-vacant industrial facility in Saint Paul’s historic Lowertown. Though the team and fans loved Midway Stadium, the organization had long outgrown the space. 2014: Local company CHS Inc. acquires naming rights to the new park. 2015: The first ever game is played at CHS Field on May 18 against the Sioux City Explorers and the World’s Largest Pillow fight is held at a game in July, hosted by Stephen Baldwin. 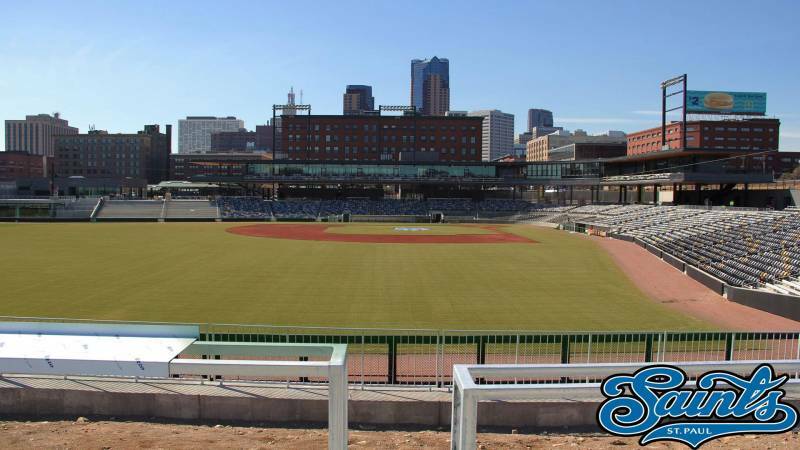 CHS Field would also claim Best New Ballpark from Ballpark Digest. 2016: CHS Field hosts the American Association All-Star Game. What's your favorite Saints memory? Share it with us on Facebook, Twitter or Instagram using the hashtag #MYSAINTPAUL. If you don't have any favorite ballpark memories yet, pick up tickets to a game and start making them!